Education: Caregivers/Health Professionals/Relatives need to be informed on the importance of proper handling of the arm. Stroke patients who have their arm unsupported and/or handled inappropriately by caregivers (pulling on the arm) are at a higher risk for traction nueropathy and injury. Hence, it is essential that caregivers of stroke survivors are adequately trained in handling the hemiplegic arm especially when shoulder subluxation is present. Positioning: Lap trays, Pillows and foam support help to keep the arm and shoulder supported in the correct position. Good positioning will help reduce strain on your ligaments and prevent frozen shoulder from occurring. Orthotic devices: The use of shoulder supports is common early after stroke to decrease glenohumeral subluxation and support the shoulder joint. 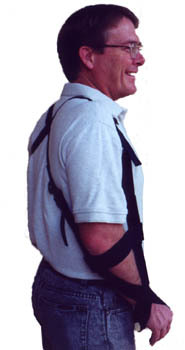 Examples of shoulder supports are the Henderson shoulder ring, Bobath roll, Harris hemi-sling, Rolyan humeral cuff sling, Cavalier shoulder support, arm trough or lapboard and shoulder strapping. A study conducted by Nadler et al found reducing vertical subluxation with a shoulder orthoses may reduce hemiplegic shoulder pain. Orthosis with proximal and distal attachments are more effective. In addition, care must be take in its usage to avoid contractures. 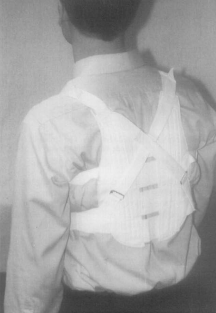 Taping:A study conducted by Chatterjee et al found California Tri-pull Taping method to reduces pain, improves active shoulder flexion, and improves distal UE functional ability. This appears to be a promising early adjunctive treatment for clients who have suffered a stroke and demonstrate pain in a subluxed shoulder. This taping method allows the patients to participate in all active UE exercises as well as all ADL's. However, there was no follow-up to determine if the effects demonstrated were maintained. Neuromuscular Electrical Stimulation: Some many studies have been done on the use of electrical muscle stimulation to manage Subluxed shoulder among stroke survivors. Recently, a publication in the Canadian Physiotherapy journal from Nussbaum et al. showed in details effective use of NMES for PT practice. stretching when the arm sags due to gravity. Exercises: In the early phase of rehabilitation passive range of motion exercises has been shown to be effective in preventing shoulder subluxation among stroke patients. Range-of-motion exercises for the shoulder joint include flexion-extension, abduction-adduction and external-internal rotation. It is important to know that if the exercises are improperly carried out, it can cause injury to the shoulder and increase the stroke patient’s risk for shoulder subluxation. Also, weight bearing exercises on the affected upper extremity proved to be beneficial. From a seated position on your bed or bench, prop yourself up on your affected arm by placing your affected arm about a foot away from your body. Then lean into it. If the patient feels comfort, this position should last for 10 seconds or so. And if otherwise, it should be stopped immediately. Proper positioning/good handling techniques should continue in this phase of management. Stroke survivors need to be reminded periodically on the rationale behind it. 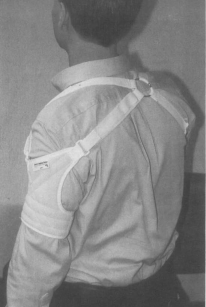 Although Shoulder supports are used commonly during the rehabilitation of stroke survivors, there is no absolute evidence that supports prevent or reduce long-term shoulder subluxation when spontaneous recovery of motor function occurs, or that a support will prevent supposed complications of shoulder subluxation. Without proper training in the use of a support, stroke survivors may face potential complications such as pain or contracture. NMES can reduce existing sublux even 6 mo post-stroke; however, the likelihood of improvement markedly reduces with time post-stroke Strength training can be used to build the muscles surrounding the affected UE. It involves progressive active exercises against resistance. Strength training on upper limb, function and ADL performance following stroke; there was a significant effect associated with training. 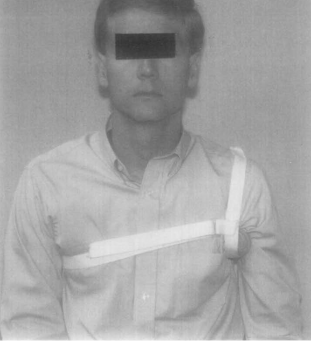 Patients with subluxed shoulder can be treated with Task-specific practice. The best way to relearn a given task is to retrain for that task.Task-specific, low-intensity regimens designed to improve use and function of affected limb have reported significant improvements. ↑ 1.0 1.1 1.2 1.3 1.4 Seneviratne, Cydnee; Then, Karen L.; Reimer, Marlene. Post-stroke shoulder subluxation: A concern for neuroscience nurses. AXON/ L'AXONE . Sep2005, Vol. 27 Issue 1, p26-31. ↑ Nadler M, Pauls M. Shoulder orthoses for the prevention and reduction of hemiplegic shoulder pain and subluxation: systematic review.Cline Rehabil. 2017 Apr;31(4):444-453. doi: 10.1177/0269215516648753. Epub 2016 Jul 10. ↑ 8.0 8.1 Zorowitz RD, Idank D, Ikai T, Hughes MB, Johnston MV. Shoulder subluxation after stroke: a comparison of four supports. 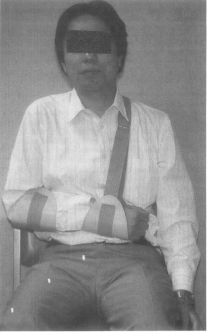 Arch Phys Med Rehabil 1995;76:763-71. ↑ Zorowitz RD, Idank D, Ikai T, Hughes MB, Johnston MV. Shoulder subluxation after stroke: a comparison of four supports. Arch Phys Med Rehabil 1995;76:763-71.